Good news if you don’t like added sulphites in your wine. Researchers from New Zealand have found that they can protect wine against spoilage by zapping it with pulsed electric fields instead. 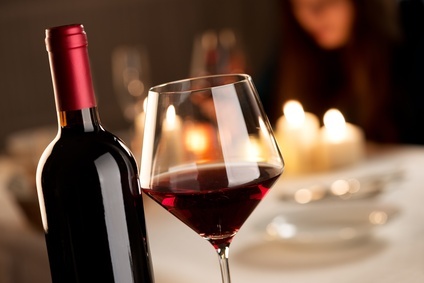 Is your wine giving you more of a kick than it states? Chances are yes. At least, according to a paper published in the Journal of Wine Economics this month. Over two years after the Oceana report that found that one third of fish sold in the States was mislabelled, a new report on the state of fish fraud in the heart of Europe paints a similar picture. Food fraud: What’s in your oregano? According to Which magazine, there’s a 1 in 4 chance it contains Myrtle or olive leaves. In today’s blog we are talking beer spoilage or spoilage of the wort, the beer before the yeast has turned it to, erm, beer. Carrying on from the rather negative blog about organic food yesterday here is one to re-balance our scales. Oh dear, even after all the publicity and scandal 21% of lamb curries in the UK are still adulterated with other cheaper or possibly sub standard meats. Back to the horse meat scandal for today’s blog. An interesting paper published in the journal Food Chemistry describes a method that allows for quick identification of beef or horse meat. The UK’s Food Standards Agency (FSA) has reiterated its advice concerning the consumption of raw milk. That is, that older people, young children, pregnant women and those with a damaged immune system should not drink it. In a change to the norm, this story is just for those who wish to know, why do cut apples turn brown?